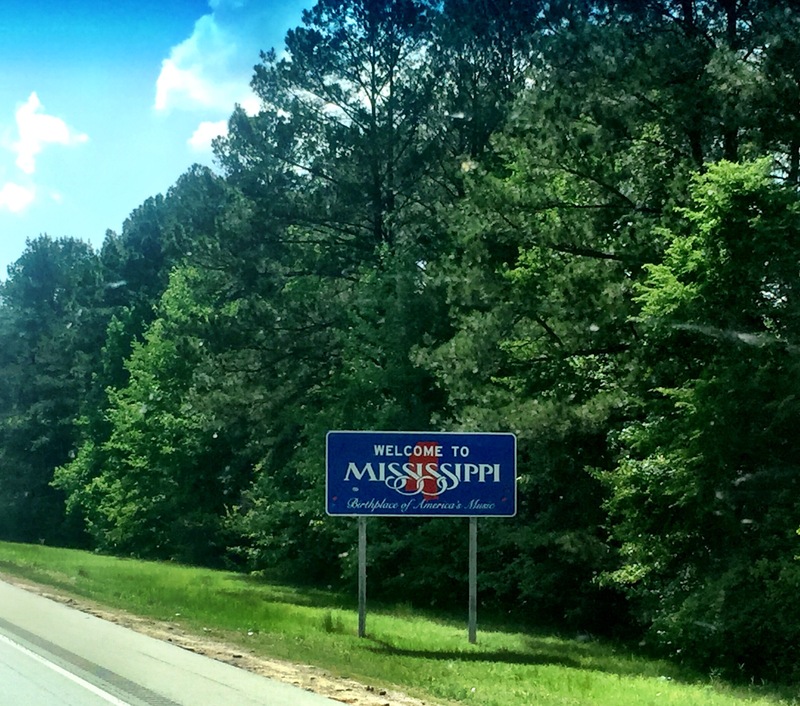 Finally got to spell this cool name in the blog…Mississippi! 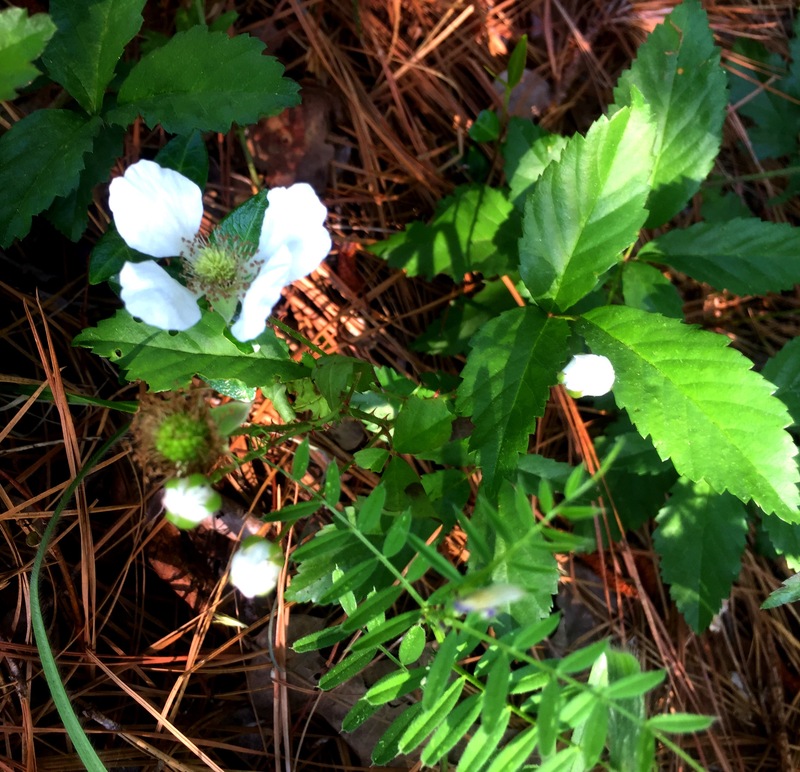 Wild strawberry blossoms & ferns abundant in the forest. 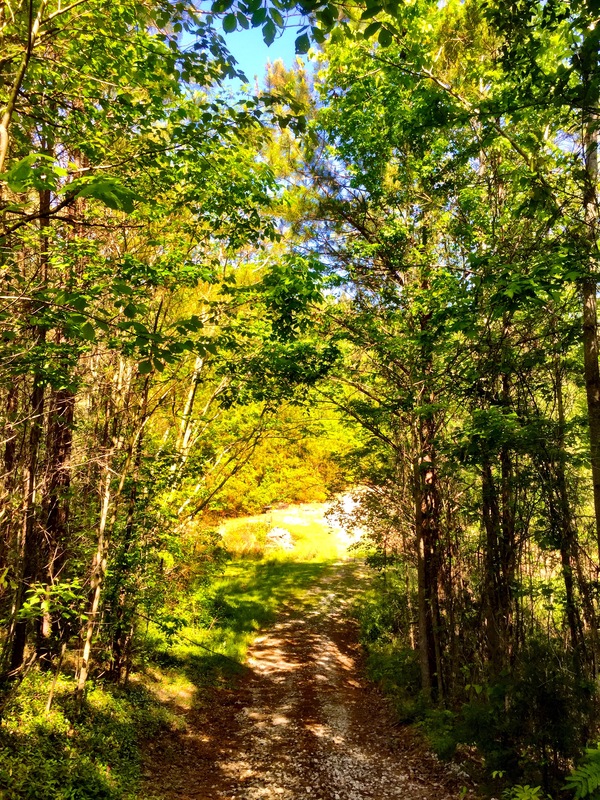 A big buck ran out of these woods moments earlier. 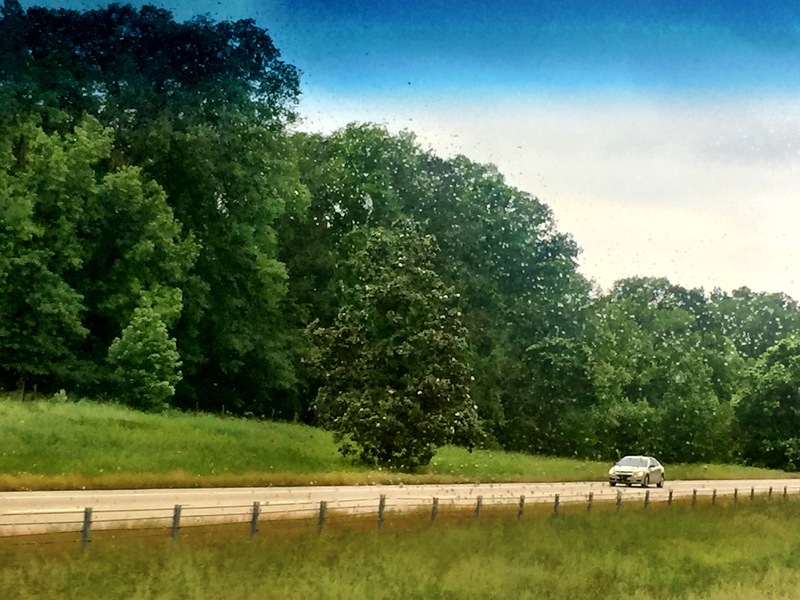 Budding magnolia trees border the highway on both sides. Allowing wildflowers to replace grass is prettier. 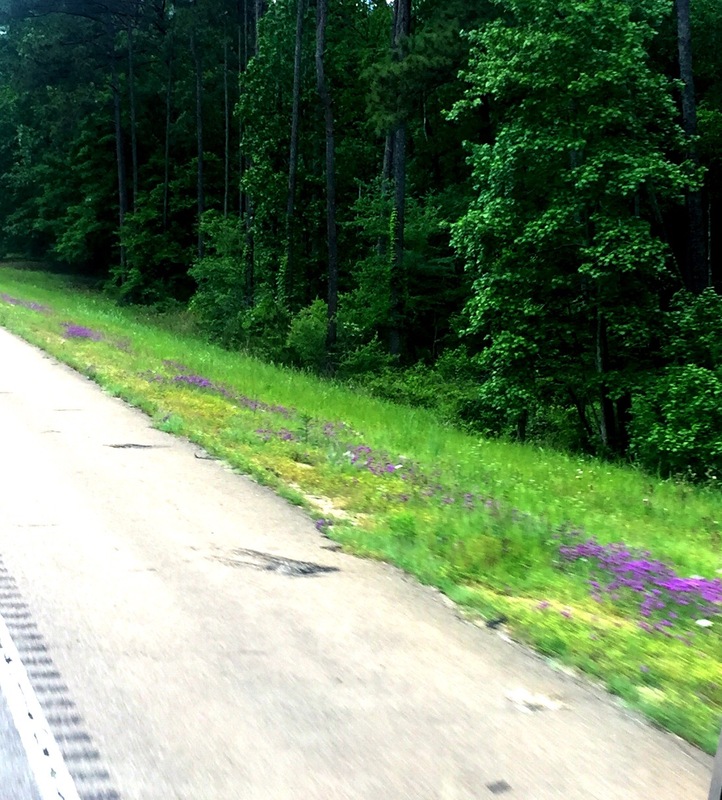 There are white, pink and a range of violet flowers blooming in medians and along shoulders in Mississippi. 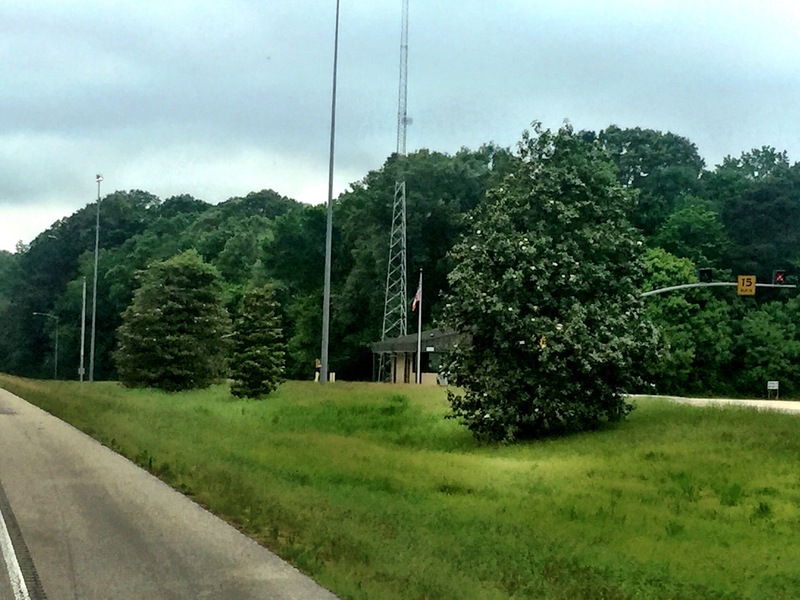 Magnolias are ready to burst into bloom at this weigh station in Mississippi.